Heat the oil in a frying pan. Briefly sauté the onion, adding the tomato puree for a short time. Brown the meat for approx. 8 mins., season. Cook the macaroni in salted water until just al dente, then drain and mix with the meat. 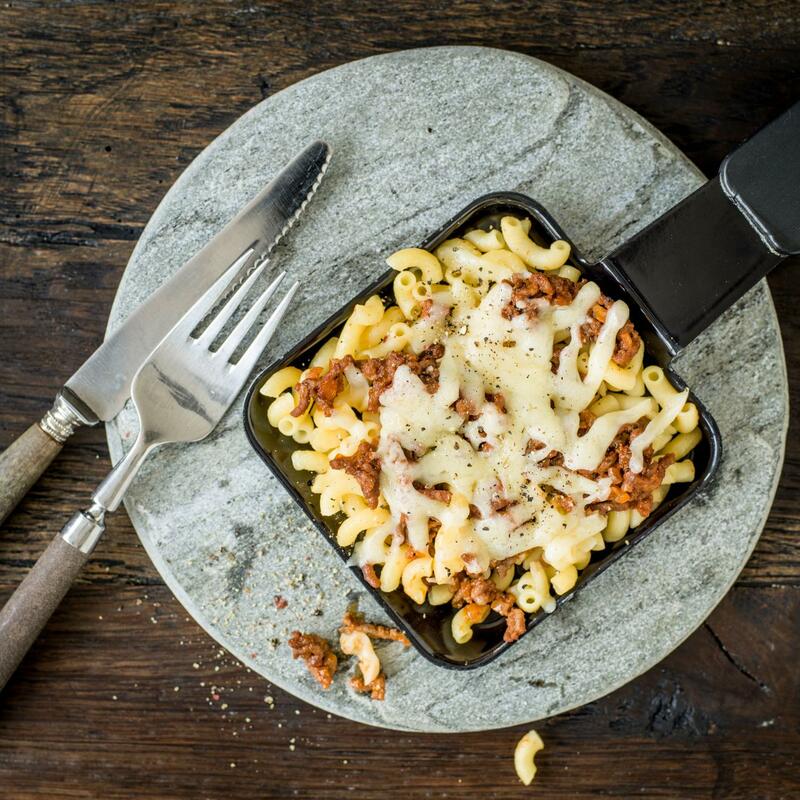 Divide the mince and macaroni mixture into the raclette pans and top with cheese. Melt under a raclette grill for approx. 5 mins. Serve with apple puree.